Every weekend in fall is a great time to go out, but many choose to spend the weekend staying at home. 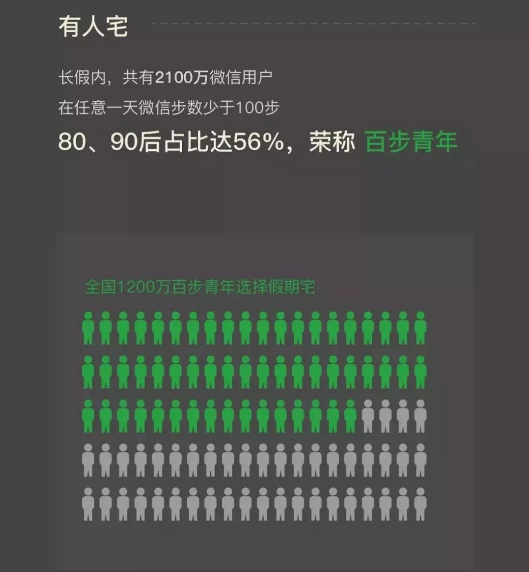 Some even take this to a whole new level, called "hundred-step youth" (Bai Bu Qing Nian). 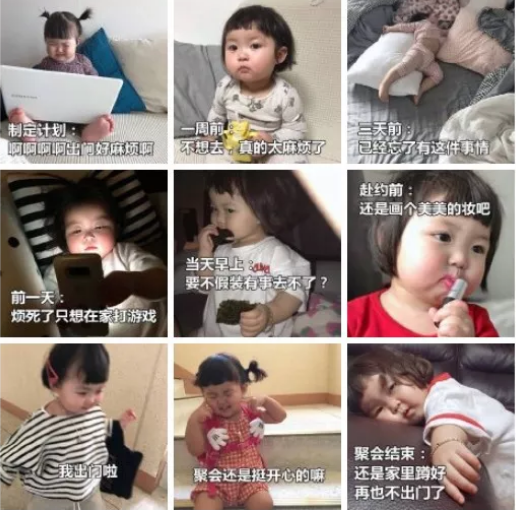 This term comes from a new report from Tencent, which shows 21 million Chinese people took under 100 steps a day during the week-long National Day holiday and 56 percent of them were born in the 1980s and 1990s. Despite having the ability to carry out activities, they are unwilling to act or use energy. Various apps and online services, such as food delivery platforms and shopping websites, help them stay at home and do as little as possible on weekends. You may have no idea how lazy a young person can be. Back in the day, young people who did nothing but play computer games were considered lazy, but these days a lazier type has emerged in watching others playing digital games on screens. They complain that it is a hassle to read and understand learning a game's rules and introduction, so they prefer watching games all day. Apart from this, the lazy adapt their lifestyle on weekends with the least amount of effort. Washing their face, taking a shower and such daily essential living habits seem to be a burden for them. They are dreaming of one day when a robot will be invented to clean their bodies automatically, like laundry machines are used to wash clothes. Some singles even said they are too lazy to chat with others, let alone falling in love. It can be too easy to come up with an excuse not to do something if a person wants to slack off. "Jogging in fall can make people well-rested, but do you know that you will feel more rested if you do not jog?" Some even blame their bed for its magic — a powerful magnet to attract iron-made people (From an old saying in Chinese: A human is like iron and bread is like steel). But sometimes, slaking off has undesirable consequences for people. For college students, some do not bother to register and book the CET-4 or CET-6 (National College English Test), and then miss the test as it is held only twice a year. Passing CET-4 or CET-6 is a common requirement for graduates when applying for a decent job. Some young job seekers feel tired of making the rounds of interviews in many companies and want to loaf. This problem seems to be not easy to overcome for lazy people, but they should. Most people take a serious attitude towards important issues like securing employment, but they also want to ease up on the weekend. Having enough sound sleep without an annoying alarm and staying at home all day long rather than going out can be their way to save energy. How about you? How do you spend your weekends? Do you prefer staying at home or going out?